This is pure resham silk saree with cut work. This saree has full hand embroidery work, crystal work; stone work and resham work in silver and golden color. This saree is available in 3 different color contrasts. 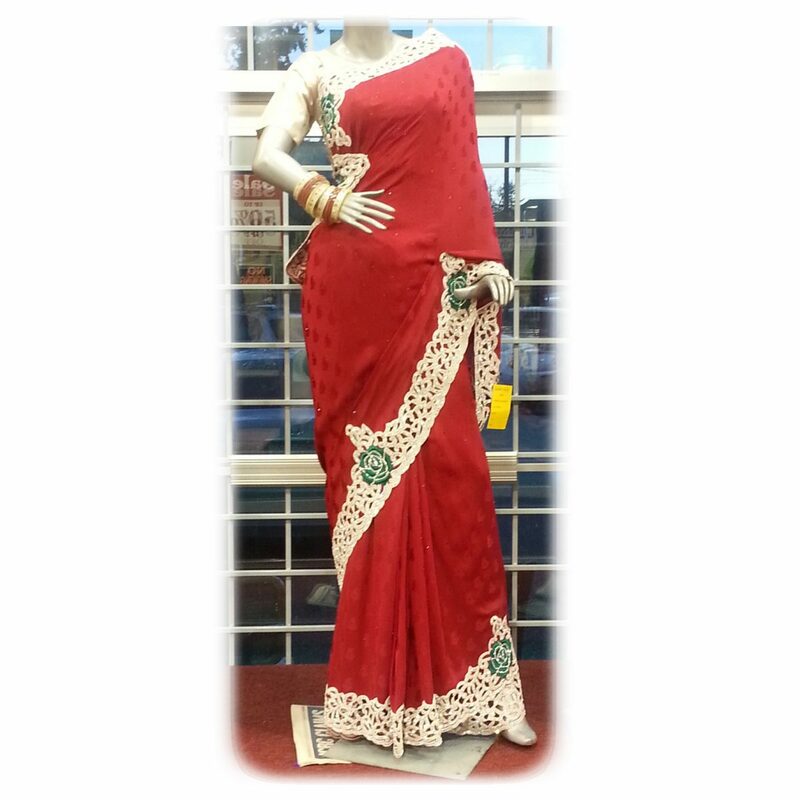 The price of this saree includes blouse piece, lining, fall, Petticoat and some accessories. We have alteration (tailoring) facility available here as well for free of cost.